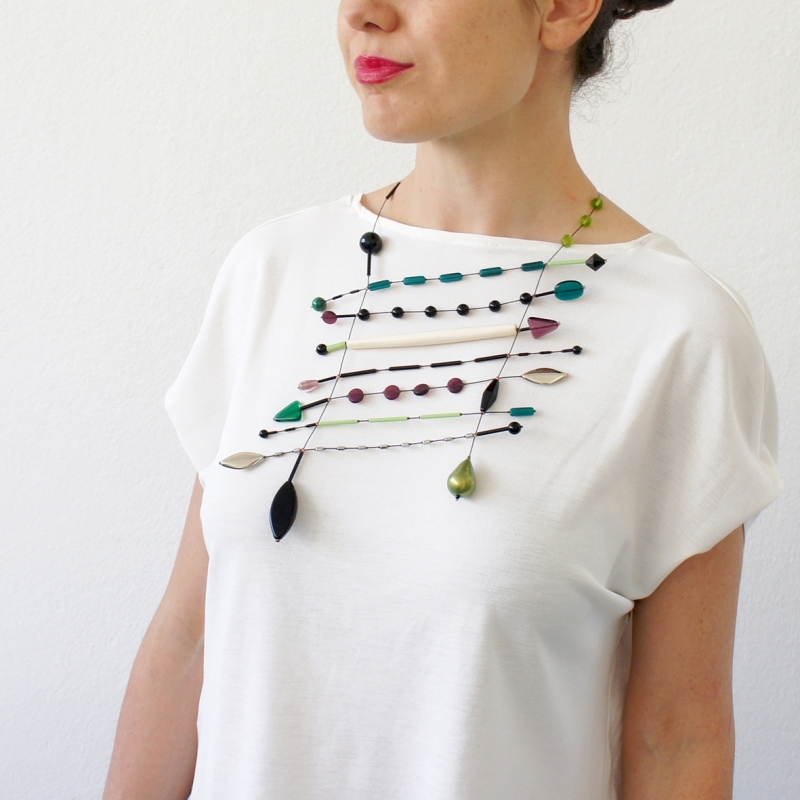 Arikara is a handmade necklace, assembled with components made of resin, glass and metal - an artistic neck-piece and perfect accessory to combine with a stylish outfit for any special occasion, as well as more casual occasions. Inspired by an abstract design, just wear it to provoke a unique and vibrant effect. Lora Nikolova is a unique handmade jewellery brand. Each piece is an exclusive artwork, inspired by an abstract design interpretation. The necklaces resemble architectural webs embroidered with various components, linked in harmonic geometries. The compositions have a particular selection of volumes and colors and black is often used as a unifying element. 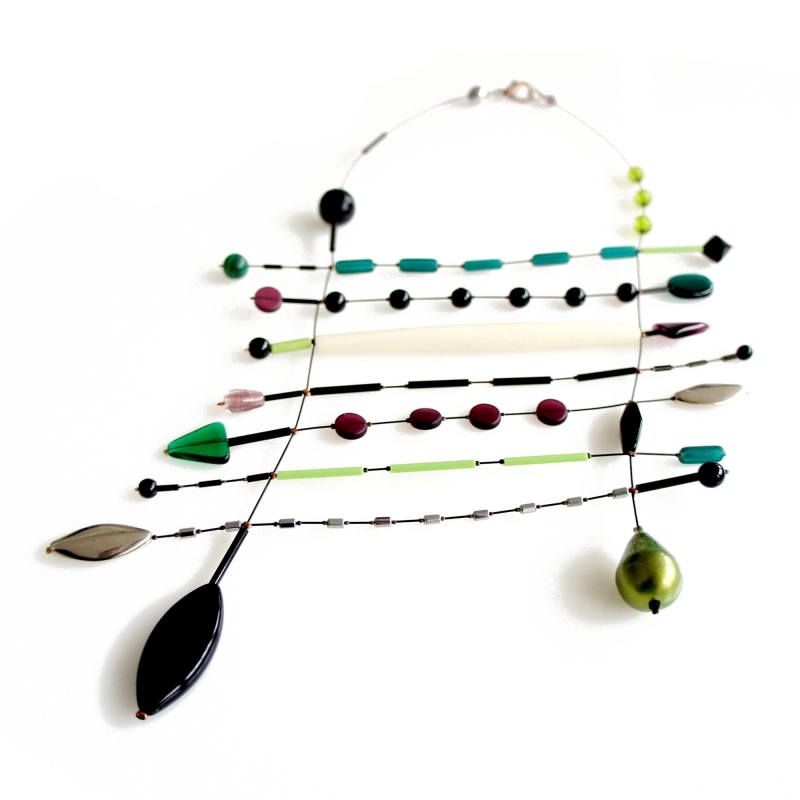 The jewellery in Lora Nikolova's brand are light and vibrantly designed for elegant personalities. Unique artworks to wear, exhibit and enjoy.